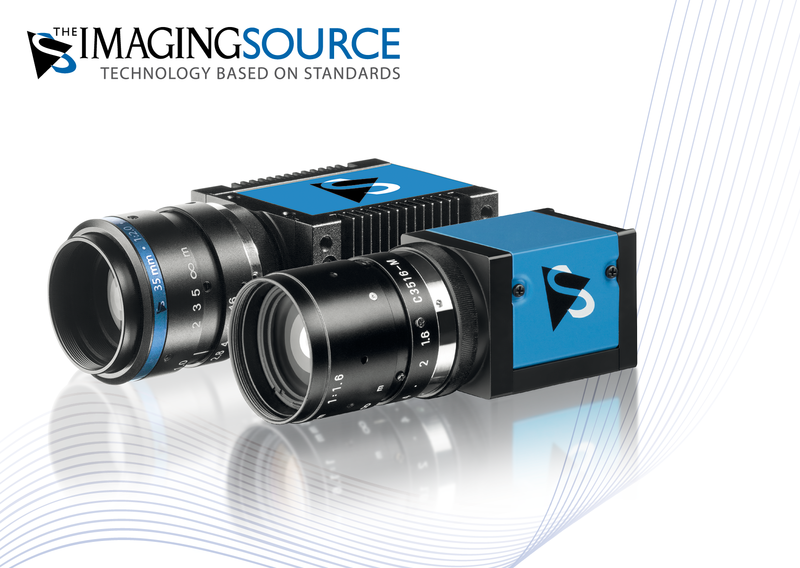 ⋯ (April 25, 2017) - The Imaging Source, international manufacturer of machine vision cameras and software for industrial imaging, has just introduced cameras featuring the second-generation Sony Pregius global-shutter CMOS sensors, IMX264 and IMX265. The color or monochrome cameras are available with either USB 3.0 or GigE interface standards. Sony's Pregius global-shutter CMOS sensors are among the smallest and most-sensitive sensors on the market. With resolutions of 5 MP (IMX264) and 3.1 MP (IMX265) and with a pixel size of only 3.45 µm, these high-performance back-illuminated sensors are 1.1 times as sensitive as comparable Sony sensors with a pixel size of 5.86 µm and so deliver exceptional image quality even under less-than-optimal lighting conditions. The sensors not only impress with their high sensitivity but also with low noise, brilliant colors and good near-infrared sensitivity. The Imaging Source offers the IMX264 / IMX265 sensors in cameras with USB 3.0 and GigE interfaces; reaching frames rates of 38 fps / 60 fps and 24 fps / 36 fps at resolutions of 5 MP / 3.1 MP respectively. The IMX264 / IMX265 sensors present a low-cost alternative to the high-speed IMX250 / IMX252 sensors with the same image quality and are well-suited for applications not requiring the high frame rates of IMX250 / IMX252. Cameras featuring IMX264 and IMX265 sensors will be especially interesting to those whose applications require highly-sensitivity, low-noise global-shutter as in the case of moving objects such as found in traffic control (ITS), inspection tasks and automation. Additionally, the sensors offer functionality such as variable shutter speeds, read-out and trigger options. The robust cameras are also attractive as their sensor sizes (2/3" and 1/1.8") mean they are easily combined with a variety of low-priced standard industrial lenses available from The Imaging Source. Comprehensive software support for Windows and Linux leaves nothing to be desired: Both programmers and end-users immediately feel at home. Getting started with the cameras takes only a matter of minutes and integrating them into existing applications takes only a few lines of code. All cameras are shipped with drivers for LabView, HALCON, MERLIC, VisionPro, DirectX, Twain, and NeuroCheck. All camera parameters and settings can be set via software. In addition to this, powerful automatic modes ensure optimal image quality even under varying lighting conditions. As additional features, a free 1- and 2D barcode SDK as well as software for on-screen measurement and image acquisition are also included.